Free Kid's Apparel | A Savings WOW! The weather is changing, so you may want to add some clothes to your kids’ wardrobes or you may want to get a jump start on your holiday shopping. 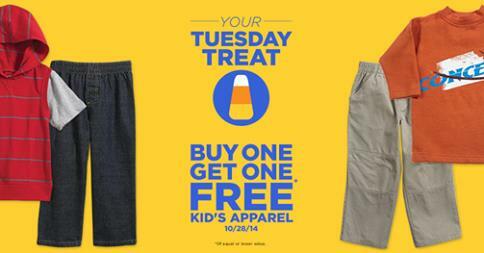 Today, Tuesday, October 28th, stop by your participating Sears Outlet and get a free kid’s apparel when you buy one. Print out this coupon and bring it with you. You also have to use your free Shop Your Way Rewards card to get the free apparel, so be sure to sign up for one if you have not already. Terms & Conditions: BOGO Kid’s Apparel. In-store only. Offer excludes associates. 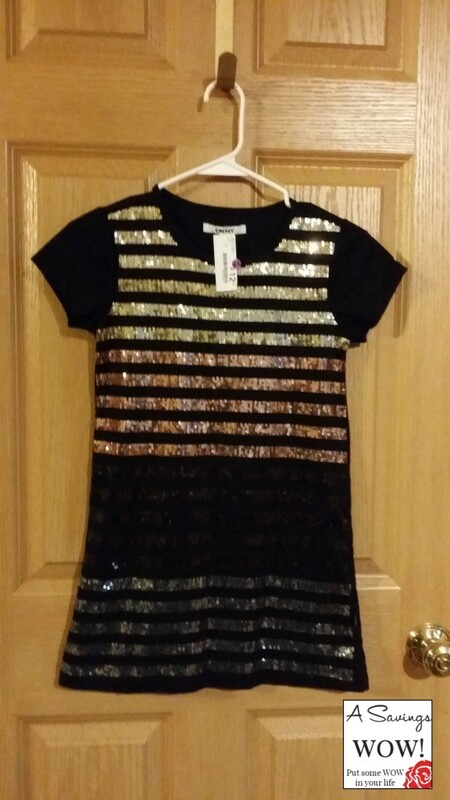 Apparel not available at all Sears Outlet Stores. One coupon per purchase per household per device. Void if copied, transferred or obtained through channels not approved by Sears Hometown and Outlet Stores. Void where prohibited by law. Any other use constitutes fraud. Cash value 1/20 cent. In an event of a return, coupon savings may be deducted from your refund. Valid Tuesday 10/28/14 in U.S.A. only, not to be used with any other coupon or associate discount.